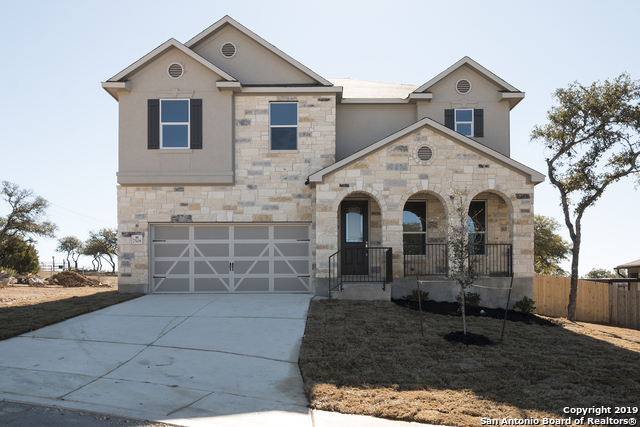 All MIRABEL homes currently listed for sale in Boerne as of 04/26/2019 are shown below. You can change the search criteria at any time by pressing the 'Change Search' button below. "Home features upgraded 8-ft. entry door, media alcove, living room conversion to study, Shaw vinyl plank flooring at entry, great room, and study, Emser 20-in. tile flooring at kitchen, laundry room and powder bath, Woodmont Cabinetry Dakota Shaker panel 42-in. kitchen cabinets, Silestone kitchen countertops, Whirlpool double oven, microwave/hood combination, and 5-cycle dishwasher, raised vanity at master bath, 42-in. separate marble garden tub and shower with tile surround at master bath,"